Precious metals must always remain a serious contender as an asset class in a diversified investment portfolio. Of course, the two most popular precious metals investors prefer are gold and silver. But what’s the upside in choosing one over the other? What’s the difference between the two metals other than their prices? When buying gold, investors need to be aware of a number of factors that can help them make an informed choice during a purchase. Sometimes it’s important to understand the flow of the market and diversify into silver for a while. In this article, we look at the pros and cons of investing in gold and silver. Gold represents safety for many investors across the world. Whenever financial markets are at risk, or there is political turmoil in a certain geographic area, or the US dollar falls against the Euro, investors will choose gold to hedge their risk and insulate themselves from the crisis at hand. Gold is considered by many investors to be a stable, dependable asset class that accrues steadily over the long term. It has low volatility and while it does not generate high returns in the short run, the risks attached to it are also very low. Since gold and silver are mined, supply and demand will have an impact on its spot price. In reality, though, the COMEX spot price of both gold and silver is impacted very little by supply and demand. However, the high barriers associated with mining and sourcing gold and silver ensures that new supply is limited and both asset classes remain stable. Buying and selling gold is easy and investors can test the gold content of coins at the time of purchase. Gold has an intrinsic ‘desire’ value in humans and many investors like to possess gold. Since the asset is held in physical form, it is not at risk of being hacked, unlike assets held in an electronic exchange. Investing in gold coins can be fraught with issues as specialist knowledge of old and rare coins may be required to verify the actual value of the investment. The gold coins industry is controlled by dealers who often charge premium prices and fees in excess of the real value of the gold used to make the coins. Once an investor has made a substantial investment in gold coins or bars, this needs to be stored securely and insured, both of which can be expensive. Diversification is an extremely important factor to be considered when building a robust investment portfolio. Overexposure to any one asset class can open the investor up to undue risk. With this philosophy in mind, investment in silver is a healthy alternative to gold. When we analyse 15 years of historic data related to spot prices of silver, we realise that silver has performed well and showed a healthy increase in price in most years. Silver prices posted positive growth in 11 years and crashed in 5 years from 2002 to 2017. Since silver prices are more volatile than gold, as an asset class, it has the capability to generate quick returns, if it is bought at the right price point and sold off at a lucrative peak. For example, in 2010 silver prices grew by 83% as US investors chose to hedge their risks by investing in metals to escape the volatility of the global currency markets. Due to volatility in silver prices, taking possession of the physical asset, storing it and again selling it at the right price can be cumbersome. The rise of silver prices is dependent on a strong economy. However, during an economic boom, there would be better alternatives for investment and silver may not be the asset class of choice to deliver the best returns. 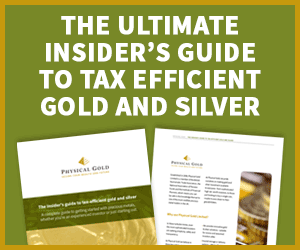 For the right advice on investing in precious metals, look no further. Call our team of specialists on 020 7060 9992 or send an email and let our experts help you make the right investment decision for gold and silver. This entry was posted in Blog and tagged silver vs gold investment.